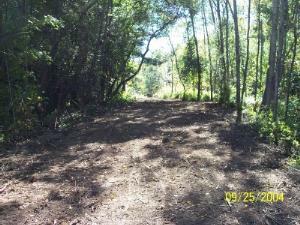 Using our unique brush cutting, shredding and trail building machine, Forest Savers constructs and maintains trails that are ideal for equestrians, walkers, mountain bikers, x-country skiers and snowmobilers. Not only does Forest Savers efficiently cut and mulch brush, leaving no unsightly brush piles, but also we can lightly till the trail, removing small sharp stumps and smoothing the surface without damaging the roots of nearby trees. 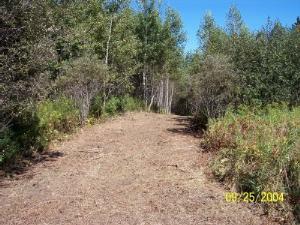 A trail leading to a pond. 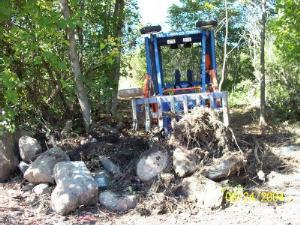 The trail building machine removes the small sharp stumps and smooths the ground while causing little disturbance to the roots of trees along the trail. Forest Savers' trail building machine cuts and mulches brush and trees up to 4" in diameter. Tree trunks larger than 4" in diameter are removed or cut and stacked beside the trail. 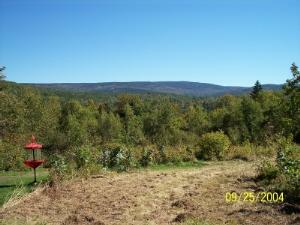 Completed four to five meter wide, 1.5 kilometer long cross country ski trail designed by John Morton and constructed by Forest Savers' brush cutting and trail building machine. 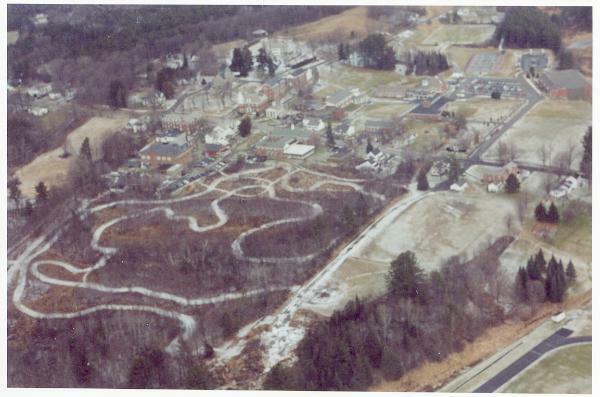 This aerial overview shows how the design of a cross country ski trail at Kimball Union Academy in Meridan, New Hampshire, maximizes the trail length and the quality of the skiing terrain. with Forest Savers's early trail building machine. bicycles, pedestrians, wheelchairs and light vehicles.